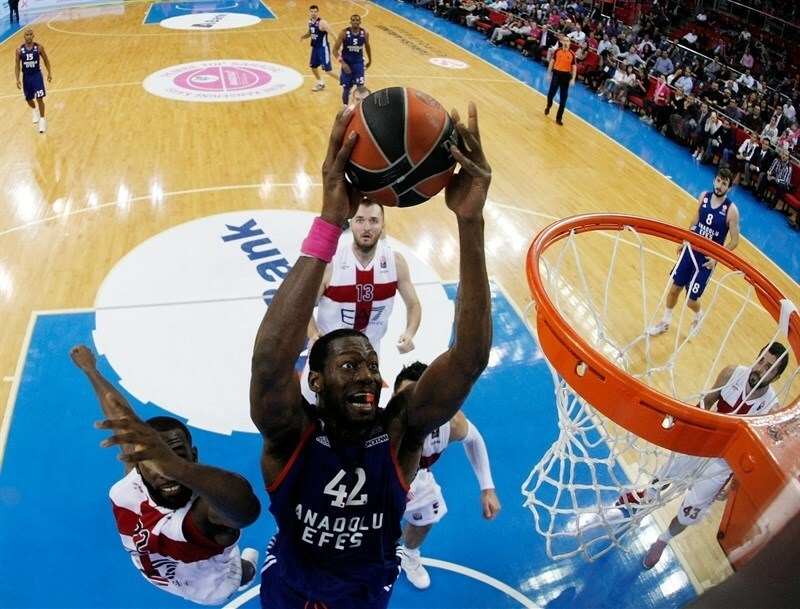 In a high-scoring battle between previously undefeated teams in Group B, Anadolu Efes Istanbul improved to 2-0 by downing EA7 Emporio Armani Milan 89-73 at home on Thursday. 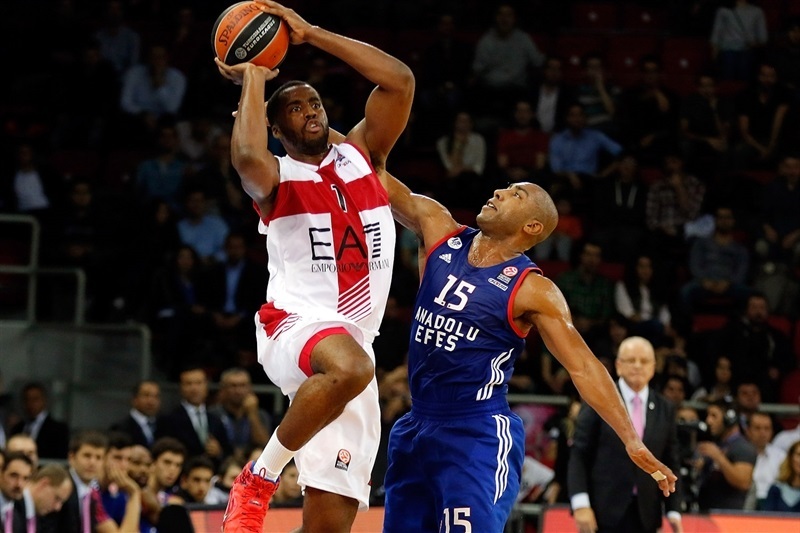 Efes leads Group B, while Milan dropped to 1-1. 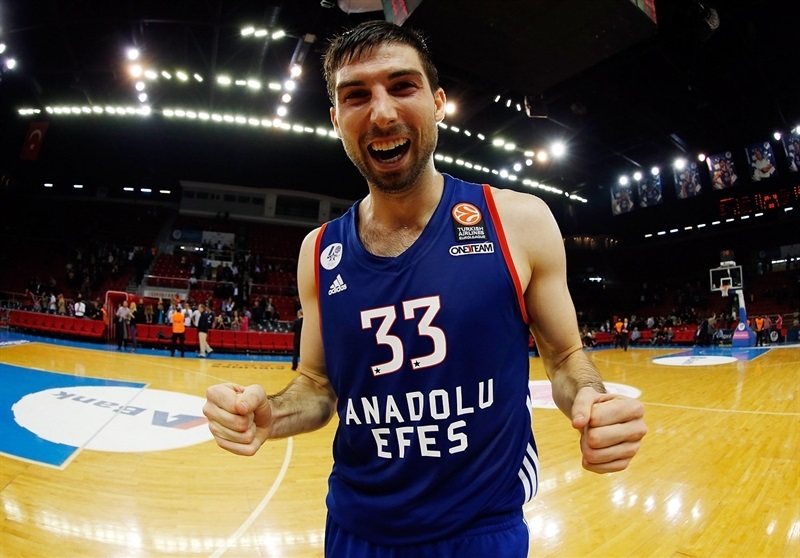 Efes registered its 11th home win against Milan in as many showdowns against the Italian powerhouse on Turkish soil. Jon Diebler paced the winners with 17 points. Thomas Heurtel added 13 and 8 assists, Dario Saric had 12 points, Alex Tyus 11 while Jayson Granger also dished 8 assists for Efes. Alessandro Gentile led Milan with 22 points. 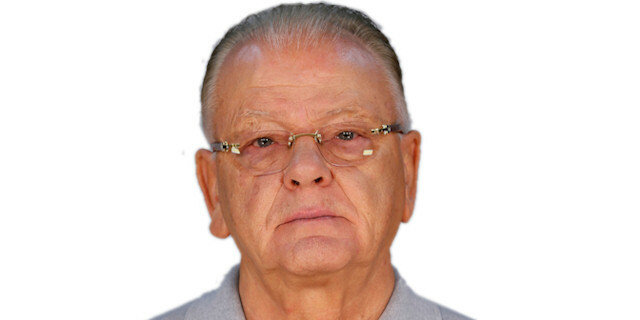 Milan Macvan added 18 for the guests. 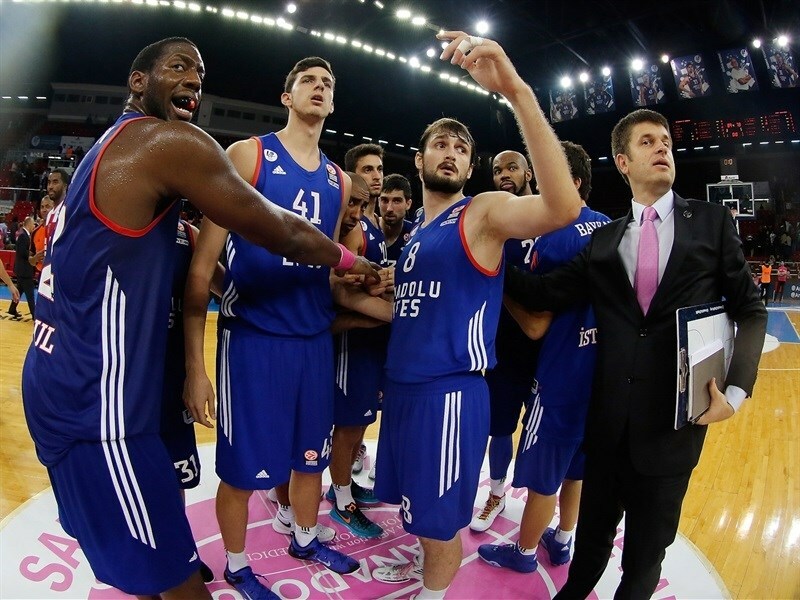 Saric shined early and a free throw by Bryant Dunston gave Efes a 21-20 lead after 10 minutes. Heurtel struck twice from downtown in an 11-0 run that gave the hosts a 32-25 margin. Charles Jenkins and Macvan stepped up to bring Milan within 43-42 at halftime. Gentile took over after the break, but an outstanding Diebler led Efes to a 69-63 margin after three quarters. Efes improved its defense when it mattered most with Heurtel and Derrick Brown stepped up to seal the outcome, 81-69, long before the final buzzer. Dunston split free throws to get Efes going and a layup by Saric gave his team a 3-0 lead. Macvan scored down low and bettered Diebler's driving layup with a three-pointer for a 5-7 Milan lead. 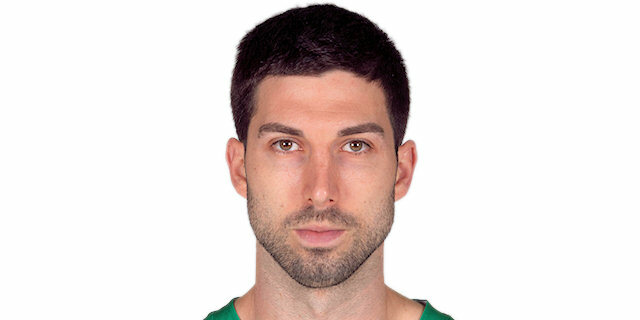 Diebler answered from downtown, but Andrea Cinciarini joined the three-point shootout for an 8-10 Milano lead. 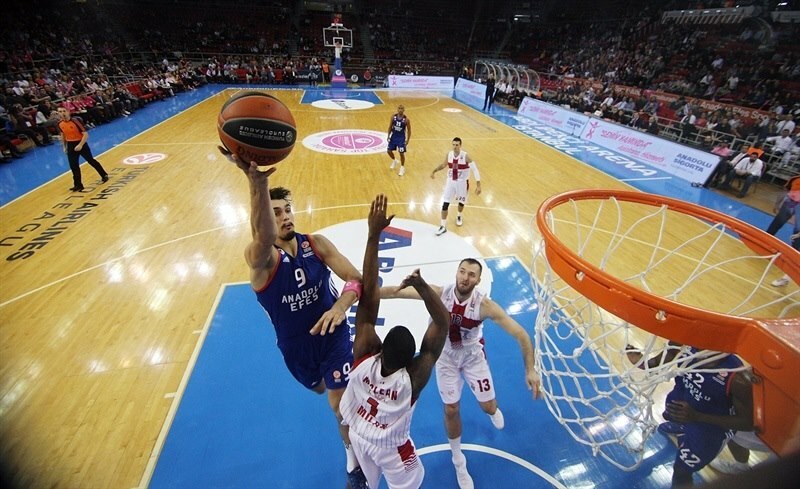 Saric also hit one from beyond the arc, but Milan had started to power the offensive glass. Meanwhile Gentile buried a six-meter jumper and added free throws for an 11-15 score. Saric fired in his second triple, as Efes tried twin point guards with Granger and Heurtel together on court. Gentile kept pacing Milan with a turnaround jumper. Saric scored down low before a free throw by Macvan gave Milan a 16-18 edge. Robbie Hummel swished a mid-range jumper, but Tyus and Furkan Korkmaz tied it at 20-20. A free throw by Tyus gave Efes a 21-20 edge after 10 minutes. Hummel nailed a corner three-pointer early in the quarter and Gani Lawal had a big block on Tyus, which he followed with a wild alley-oop slam, good for a 21-25 Milan lead. 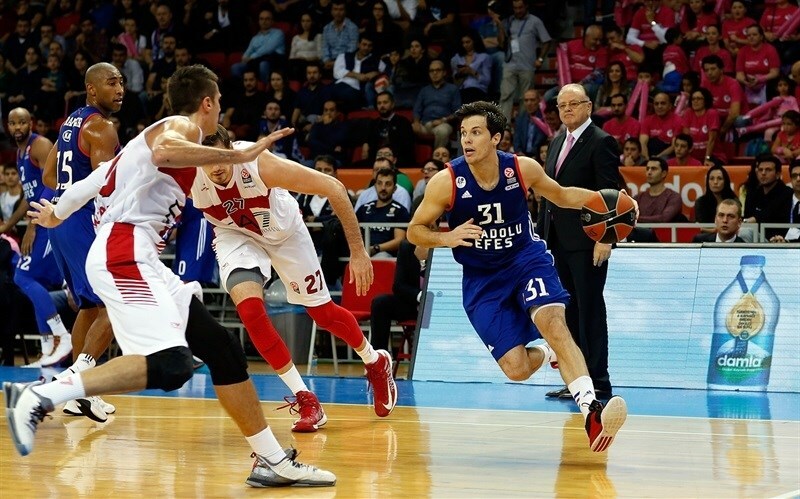 Korkmaz nailed his second three-pointer and free throws by Tyus put Efes back ahead, 26-25. Heurtel buried a big stop-and-pop triple that saw the guests call timeout at 29-25. A red-hot Heurtel hit another one from downtown to cap an 11-0 Efes run. 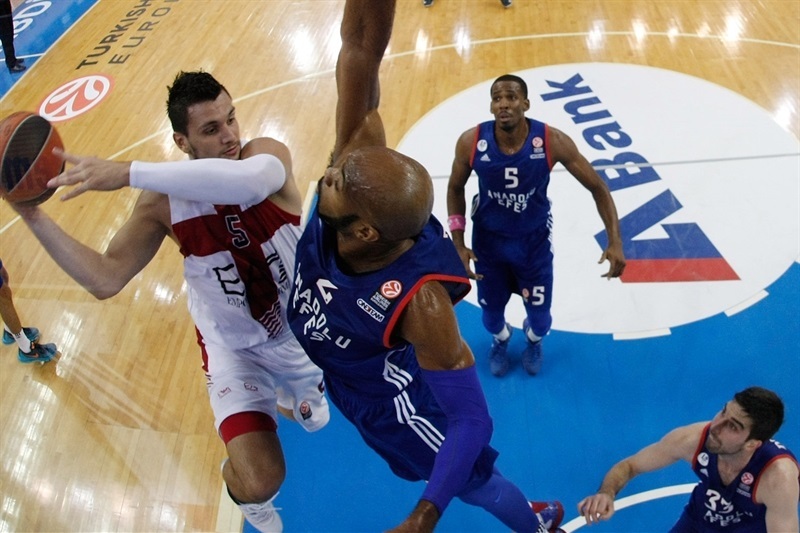 Gentile made free throws, but Tyus split attempts and Granger gave Efes a 35-27 margin. Milan found a new go-to guy in Charles Jenkins, who buried back-to-back triples, which caused Efes to call timeout at 35-34. Dunston took over with a high-flying tip-in and Cedi Osman added a corner triple to boost the hosts' lead to 40-34. Jamel McLean took over with a wild put-back slam and free throws by Macvan kept Milan as close as 40-38. Jenkins nailed a five-meter jumper, but Diebler did better with a three-pointer. A driving layup by Kruno Simon fixed the halftime score at 43-42. Gentile scored in the low post immediately after the break, which Saric erased with a one-handed dunk. Macvan split free throws and Gentile erased Tyus's close basket with a two-handed slam to tie it at 47-47. Gentile kept pacing Milan with a wild fast break slam in traffic and soon added free throws to restore a 4-point Milan margin. Granger sank a stop-and-pop jumper and Heurtel fed Tyus for a layup that tied the game again, 51-51. Milan kept missing close shots and free throws by Heurtel provided another lead change. Oliver Lafayette buried a three-pointer and Stanko Barac added a close basket, but Diebler struck from way downtown to tie it. Diebler fed Tyus for a backdoor layup and Brown added a fast break basket for a 60-56 Efes lead. Lafayette sank a three-pointer for a screen, but Diebler followed a one-handed jumper with a layup for a 64-59 score. Macvan followed free throws with a layup, but a three-pointer by Granger and a big basket by Diebler gave Efes a 69-63 edge. 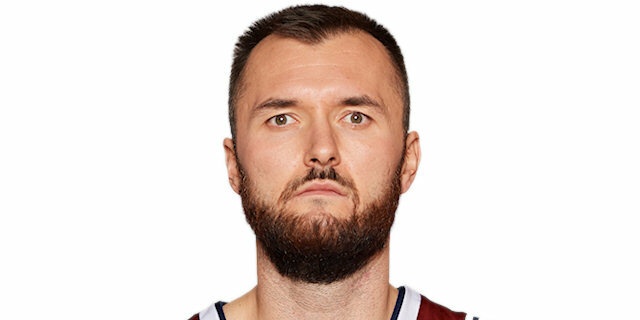 Macvan nailed one from downtown early in the quarter and a turnaround jumper by Simon brought Milan as close as 69-68. Brown rescued Efes with a three-pointer from the left wing, as Milan tried a smaller lineup with Hummel and McLean together on court. 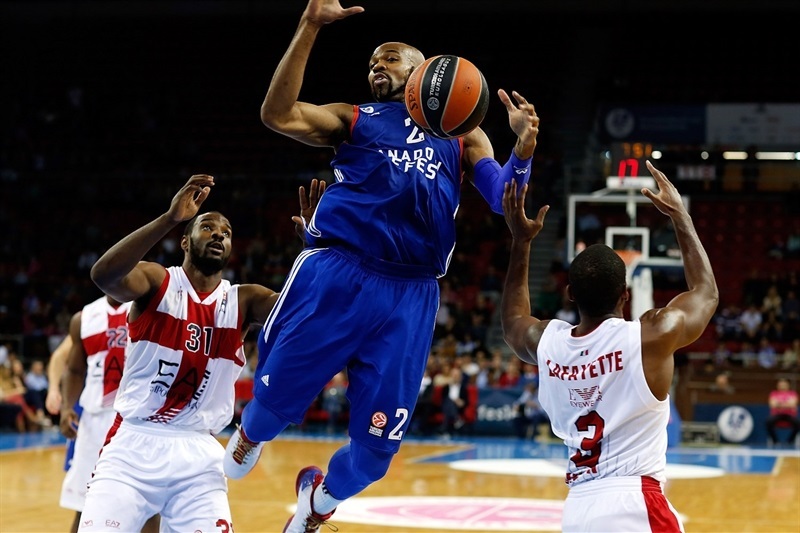 Brown kept pacing Efes with a big slam that caused Milan to call timeout at 74-68. Heurtel shined with a one-handed floater in the lane, as Efes kept excelling on defense. Meanwhile, a step-back three-pointer by Huertel broke the game open, 79-68, with over four minutes left. Simon split free throws and a layup by Dunston gave Efes an 81-69 lead. Gentile scored in penetration, but Granger erased it with another basket to seal the outcome with three minutes left. Brown buried a jumper and even though Milan never gave up, the game was in essence decided. 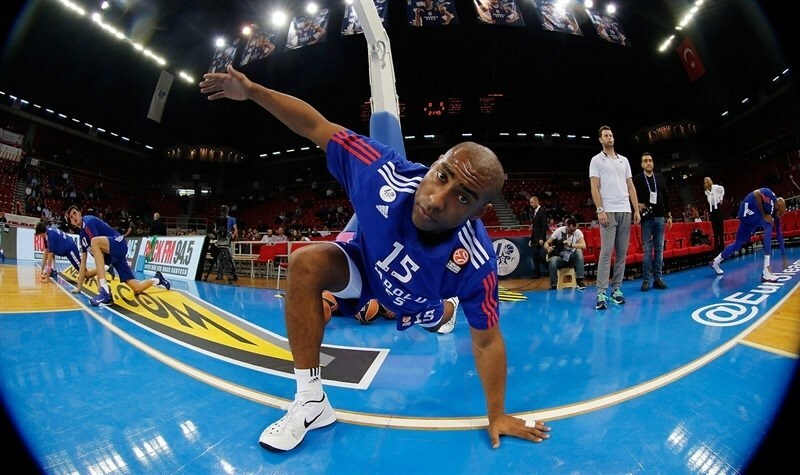 "Our second round game in the Euroleague was at a good level, a Euroleague level. It was tough and balanced. We absolutely deserved to win. The game was characteristic of two different halves. In the first half Milan was concentrated and our defense was not as good as expected. We led at halftime 43-42. The second half was totally different. Our defense was much, much better. We controlled the game better. The second half we finished 46-31 against a very experienced team. We took the advantage of our deeper roster. " 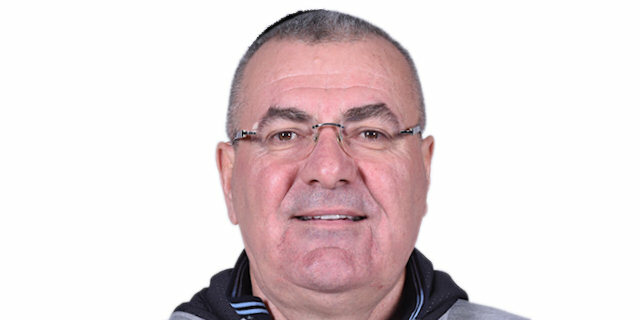 "Congratulations to Efes, they deserved to win. We lost because of our defense. We did not fight. In the first half we had a good performance. The third quarter was satisfying, but in the fourth quarter I was waiting for support from bench. Fast breaks and offensive rebounds allowed so many points at our basket. Our players were not good physically because of the road games and travelling. After this loss, we have to concentrate on our remaining games. " "I think as a team we played really good defense in the second half. They are a very talented team and we did a good job of using our defense to propel us and do well on offense in the second half. " "It was a difficult game. We played 25-30 good minutes, but after that Efes played better. 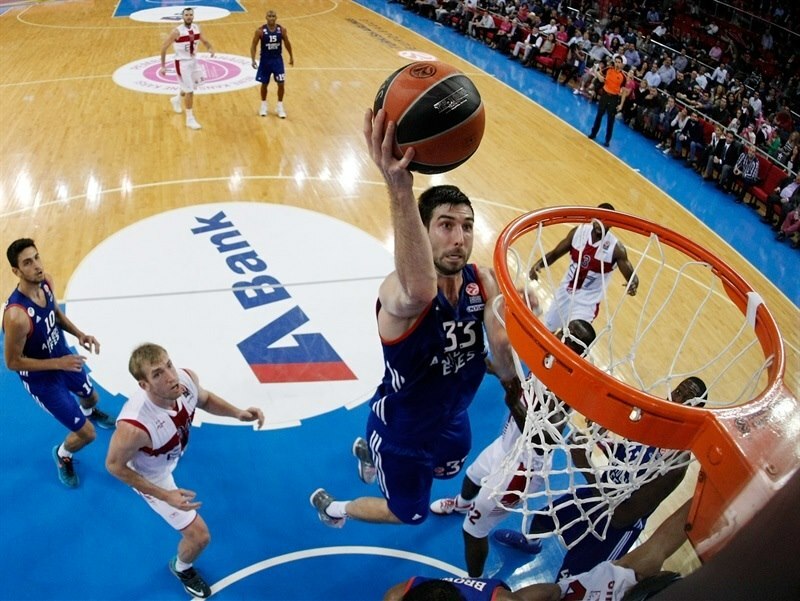 Efes grabbed offensive rebounds in the fourth quarter and played with more confidence, more energy. They deserved the victory. We played two consecutive road games. Now we have to rest and prepare for our coming games."